A major constraint is simply that I applied to the Outreach Program for Women and there are a limited number of organizations to choose from. Still, there are 19 organizations and that is a quite a few to choose from! 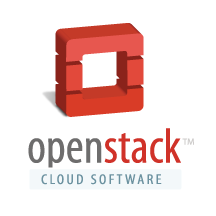 Why OpenStack? I was interested in working on a project with great impact and that had some relevance to my science background. Not to belittle other organizations, but I think it's easy to argue that OpenStack is an extremely important project with broad interest to many groups. I counted 61 official corporate sponsors on this page. There are many impressive names on the list ranging from FOSS (Ubuntu, RedHat, Rackspace) to bluechip tech (IBM, HP, Intel) to communications (AT&T, Comcast) to storage (Seagate, Hitachi) and many others that I'm omitting. Large is not necessarily equal to significance, but this infographic shows how rapidly OpenStack has grown in 3 short years. Regarding my interest in science, both Argonne National Laboratory and San Diego Supercomputer Center have been using OpenStack, and they are major national science labs in the USA. My sister's PhD advisor in linguistics, when he learned that I was working on OpenStack, remarked that he was glad because "OpenStack is an important project." As someone who's enthused about numerics and computational science, I'm excited about the prospect of scientists crunching large-scale calculations about the origins of the universe or protein folding on a FOSS cloud running OpenStack. On a personal level, I have observed how deeply embedded cloud computing has become in our everyday lives. I was thinking about how much I use Gmail. I don't know how I would replace it with a FOSS alternative; it's hard to beat the security and widespread accessibility of Gmail. I'm not aware of any FOSS email tool that can be accessed and synced reliably on desktop browser, POP email client, tablet, and phone. I also stream music, host GBs of photos, and share social media -- all from the (corporate) cloud. Knowing that OpenStack is actively being developed gives me the piece of mind, that someday technologically minded people, including myself, could do all those things from our own personal clouds or start their own smaller "indie" versions of Gmail, Facebook, Twitter, etc. In particular, for government agencies and scientific labs, it makes more sense (at least to me) to use FOSS that is more politically neutral, transparent, and accessible to the general public. If government funded institutions use corporate clouds, they might get locked into a particular stack of software. From my experience with the National Day of Civic Hacking, I saw how crucial it is for the government to use FOSS tools, so that vigilant citizens can examine the data for themselves. Moreover, I always want to be expanding my knowledge. Cloud computing and software/infrastructure as a service are topics for which I have very little technical understanding. I'd also like to learn enough that I explain what cloud computing is to non-technical friends and family; in general, I'd like to educate the public about the software they rely on! There are a couple more, less lofty reasons that I became an OpenStack contributor. I'm interested in getting a job in the software industry, but don't have any experience working on large scale, multiple user projects. Working on a project like OpenStack gives me credibility because of its scale, complexity, significance, and strong reputation. Another reason I liked OpenStack was that it used Python, a language I know and enjoy using. It's also nice that Python is quite popular in general and extensively used in the scientific community. I didn't want to work in a language I disliked or that was too obscure. As I finish writing this post, I realize that I would have wanted to contribute to OpenStack even if FOSS internship programs were unavailable. There are so many good reasons to contribute to the project, including the fact that everyone in the community has been so welcoming and supportive. I just wish they had publicized themselves more at universities, so I could have known about the organization sooner. Here's to a long life for OpenStack!